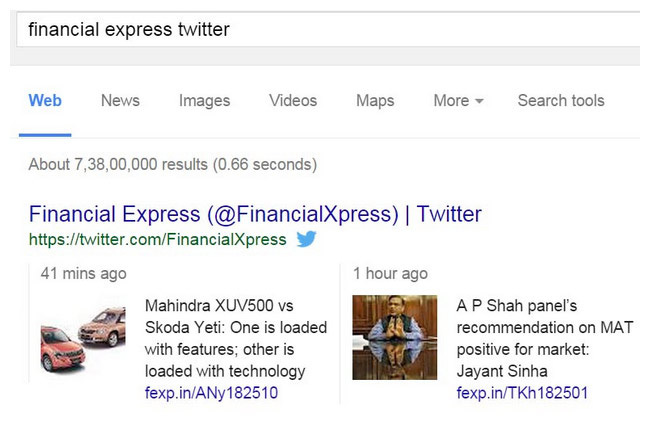 Tweets Now Appear in Google Search Results | ASTRALCOM - Content Strategy, Conversion Marketing and Customer Acquisition. “Now you can see Tweets in the Google search results as Google has added Tweets to their real-time search results on the desktop. Need some social lift? If you find yourself overwhelmed trying to develop, manage and maintain yet another social channel for your content marketing strategy, click or call us at 800.536.6637 and let’s talk about how to make it work for you!